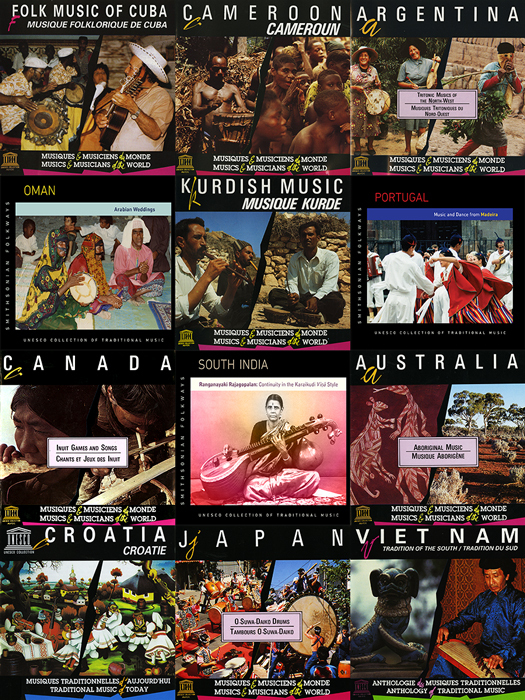 The UNESCO Collection of Traditional Music comprises 127 albums of music from around the world. Smithsonian Folkways Recordings published a dozen previously unreleased albums and re-released 115 albums of recordings published between 1961 and 2003 but out of print since 2005. All are available in both digital and physical formats. 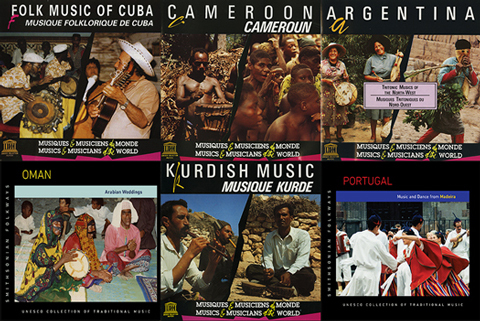 The United Nations Educational, Scientific and Cultural Organization (UNESCO) launched the series in collaboration with musicologist Alain Daniélou (1907–1994) and the International Music Council (IMC). Collaboration continued more recently with the International Council for Traditional Music (ICTM). The UNESCO Collection of Traditional Music stands as one of the earliest achievements of UNESCO’s program for safeguarding and revitalizing intangible cultural heritage. With recordings from more than 70 nations, the UNESCO Collection of Traditional Music offers a staggering diversity of our shared humanity. Much of the collection was gathered in situ and is presented as field recordings. Extensive annotations and photographs accompany each release. The republishing of this collection marks renewed commitment to making this unique collection of diverse musical expressions accessible to the public. Starting in April 2014, and until July 2015 two albums per week were released and now all 127 albums are available via digital download, streaming services, on-demand physical CDs, and library streaming audio subscription.